Are your tenants expressing a strong interest in Internet connectivity that is delivered over fiber? 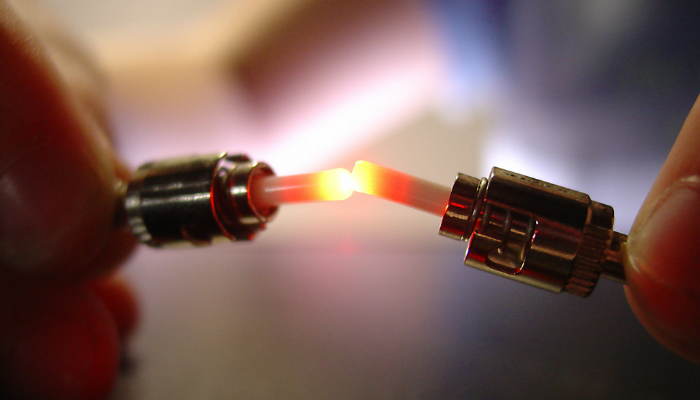 Fiber delivers many benefits over legacy copper and cable networks. The benefits include undeniably fast bandwidth speed, high-quality delivery of video services and crystal clear voice calling when using Voice over IP (VoIP). In many organizations, the difference between legacy network Internet connectivity and service delivered over fiber is like night and day. Connecting your building to the Internet over fiber can seem overwhelming to landlords. 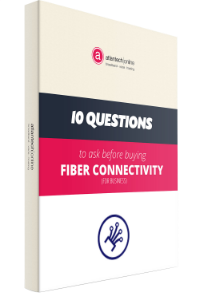 If you're worried about an installation requiring extensive engagement with a fiber vendor, excessive and repeated access, or challenging scheduling, you can put your mind at ease. The process of creating building-wide fiber Internet services is likely far less involved than you may initially think. In this blog post, you'll learn what's required for landlords to submit to fiber vendors and what you can expect during an installation process. If you're considering bringing fiber to your building, you'll discover everything necessary to provide your tenants with the highest-quality network possible. What Can Landlords Do if Fiber isn't Already Available in Their Building? If you're preparing to work with a vendor to have fiber installed in your building, there are some steps you can take to ensure the installation of your building-wide Internet service (BWIS) goes as smoothly as possible. To create BWIS for your tenants, the provider will need to perform a physical installation of fiber on the site. Create a safe work environment in your main telecommunications room for your fiber provider to perform an installation by clearing sufficient space for work to be safely completed. Prior to the installation, have a power source in the main telco, or phone, room. If possible, power should be connected to your building's life safety generator, to ensure continuity of fiber connectivity post-installation as this service will carry tenant data and may be used for making E911 calls. For an on-net fiber Internet installation to take place, your provider will need to connect the fibers installed on site to their fiber backbone in the right-of-way outside the building (i.e. the street, sidewalk, etc.). Reserving a conduit into your building is important to a successful installation process and keeps costs down. If no conduit to the right-of-way is available, the fiber carrier will need to construct one. The building plan you give to your fiber provider prior to your scheduled installation needs to depict both the location of the reserved conduit and the telco room's layout for the provider to be able to work successfully. Depending on your provider's preferences, blueprints or a layout drawing are common ways to communicate this information. Obtain asset manager approval necessary for your fiber provider to access the building to perform the scheduled installation. Ensure the proposed installation date's timing is optimal for everyone who could be affected by the installation. What is Required to Have Atlantech Install Fiber for My Tenants? If you're actively considering the idea of providing fiber internet to your tenants, you may be curious about just what's required for a successful installation. After obtaining building plans and access approval, your provider will perform an in-person survey of your building to ensure that all requirements are met and that they have the information necessary to perform a successful installation. Atlantech's team will submit a plan for installation of the fiber and equipment to serve the tenants. The provider and landlord will complete a building access agreement, which will provide the contractual details regarding the operation of the fiber and equipment in the building. Fiber will be physically installed on-site and connected to equipment that will serve tenants. Tenants in the building will be provided with educational materials and expert consultation on the benefits and costs of connecting their businesses to fiber internet. Tenants who opt into fiber internet services will be connected to your building's fiber network in your phone room. Your tenants who choose this option can appreciate an immediate improvement in their network's reliability and speed. Are you considering the pros and cons of connecting your tenants to fiber internet services? Contact one of Atlantech's expert consultants for more information, or simply call (301) 589-3060. Get all the information you need to make the smartest decision for your business' fiber connectivity requirements.